No need to continue struggling with slicing fruits and vegetables. 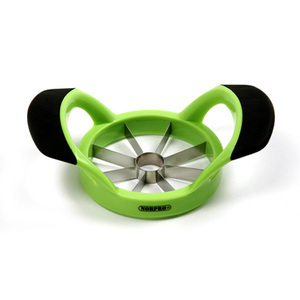 Onions, tomatoes, potatoes, lemons - they all slice effortlessly with the Norpro Grip E-Z Fruit Corer/Wedger. That's because the Wedger has precision, stainless steel blades and the handles are specially designed to ensure a firm grip. 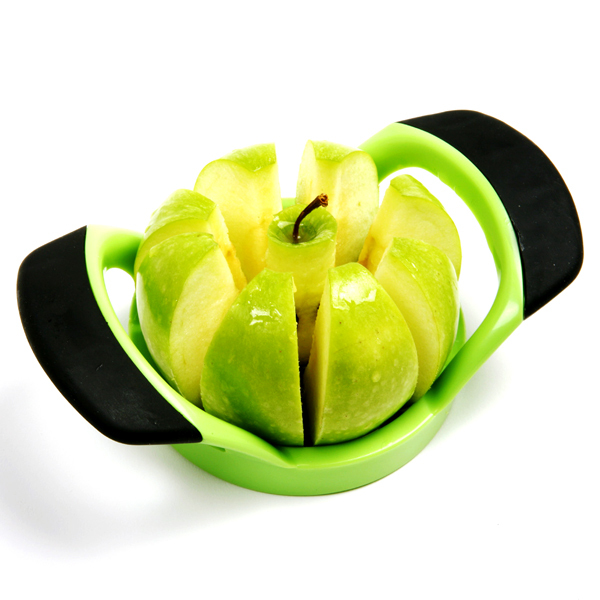 The Grip EZ cores and slices fruit into eight even section in a single motion. Blades measure 3.5"/9cm. You will slice effortlessly because of it's sharp blades and its ergonomic, non-slip handles. So save yourself time and hassle - get your E-Z Veggie Wedger today. Measures 5.5" x 7.25"; BPA free and dish washer safe.